On an average, per square metre solar radiation availability in Australia is the highest in the world. The Australian government has also projected a 20% replacement of the total energy consumption with solar power by the year 2020.The Australian government has also projected a 20% replacement of the total energy The Australian government has also projected a 20% replacement of the total energy The Australian government has also projected a 20% replacement of the total energy consumption with solar power by the year 2020.consumption with solar power by the year 2020.consumption with solar power by the year 2020. The Australian energy demand is expected to increase as much as 50% by the year 2020. The estimated energy investment to cater to this projected growth is a staggering AUD 37 billion. This is also likely to degrade the living standards in terms of the amount of emissions. The key to managing this challenge effectively is to tap the abundant renewable solar energy that is available in the country. It is a clean source of energy and is becoming more affordable. Solar energy avoids depletion of natural resources. Poisonous gas emissions are greatly reduced when solar energy is used. Solar energy usage reduces import of fossil fuels. It also reduces dependence on nuclear energy. Water consumption is greatly reduced by changing over to solar energy. There is no waste generation when solar power is used. It does not cause any noise pollution. As no pollutants are generated, costs involved in complying with environmental regulations can be avoided. Solar energy helps to improve the rural economy. If a grid-connect solar power system is used, premium rates for the electricity generated is paid by the Australian government to the consumer. A business in Australia can claim a tax rebate if it has a solar energy system installed in the premises. The Australian government also offers a substantial grant of $50,000 for any school in Australia that installs a grid-connected solar power system in its premises. 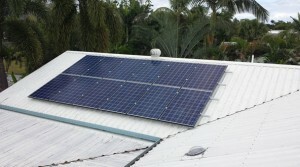 Community buildings in Australia receive heavy subsidies for installing grid-connected or off-grid solar power systems. 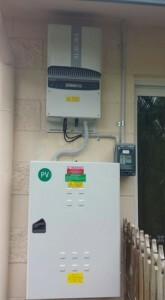 Solar Power Australia makes setting your home up with grid feed solar power easy. We manage the entire process and will work with you to ensure that you secure the right system for your needs. Q. What Is Solar Energy Really? The two most common forms of renewable solar energy today are concentrating solar energy and photovoltaic solar energy. Concentrating solar energy relies on the use of mirrors or lenses. Different techniques like rotating parabolic dishes are used to track the sun and focus its light. These tracking systems are designed to capture a large area of sunlight and then through the use of mirrors or lenses to concentrate it into a small beam. The resulting concentrated heat is used to heat a working fluid that powers a generator or special heat motor to generate power or to store the heat energy for later use. Photovoltaic solar power uses photovoltaic cells (also referred to as solar cells) to convert light into electric current. It is the direct conversion of light into electricity. Some materials (semiconductors) exhibit a special property that causes them to absorb photons of light and release electrons. When these free electrons are captured an electric current results that can be used as electricity. Solar cells are made of the same kinds of semiconductor materials, such as silicon, used in the microelectronics industry. For solar cells, a thin semiconductor wafer is specially treated to form an electric field, positive on one side and negative on the other. When light energy strikes the solar cell, electrons are knocked loose from the atoms in the semiconductor material. If electrical conductors are attached to the positive and negative sides, forming an electrical circuit, the electrons can be captured in the form of an electric current — that is, electricity. This electricity can then be used to power a load, such as a light or a tool. Another commonly used term is thermal solar energy. Thermal solar power is simply the technique when the sun’s energy is used to heat up water, rather than to generate electricity). This is done by the use of a solar collector, for example for heating your swimming pool water. Grab your latest energy bill and contact us for a system quotation latest energy bill and contact us for a system. 1. First give us a call so we can discuss your individual needs. 2. We will visit site to ensure we can provide you with an accurate quote for a solar system which is going to meet your needs. You may require a metering and/or switchboard upgrade but this will be discussed with you at this time. 4. Ergon assesses your application and usually processes within two weeks. 5. Once your application is approved Ergon will issue two copies of an IES Network agreement. You need to sign both copies and return one to Ergon Energy. You are then ready for installation to commence. 6. Give us a call to arrange an installation date. 7. 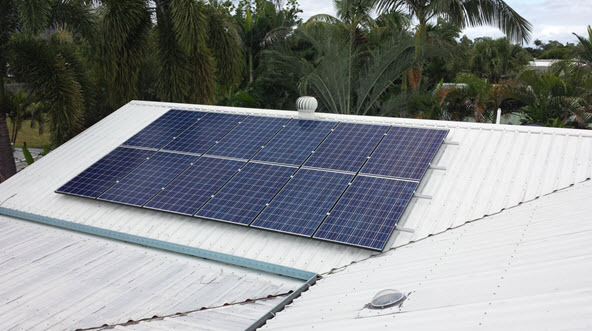 Once your system is installed we will notify Ergon of the new solar PV system connection and lodge a request for an appropriate electricity meter to be installed. Feed in tariffs will not begin accruing until the meter is installed. 8. Ergon will inspect your inspect your new solar PV system connection and install the appropriate electricity meter which measures how much electricity you draw in from the grid and how much is exported from your solar PV system. Then you can sit back with your air conditioner running and not be fretting about the huge electricity bill you will receive!